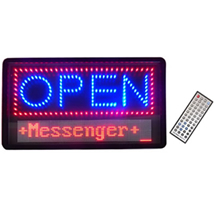 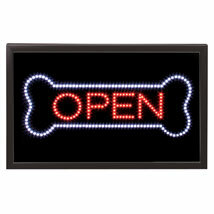 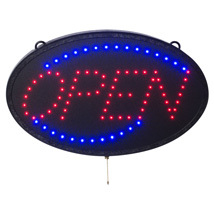 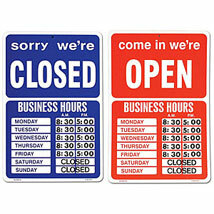 Looking for an easy way to let your customers know whether you're open or closed for business? 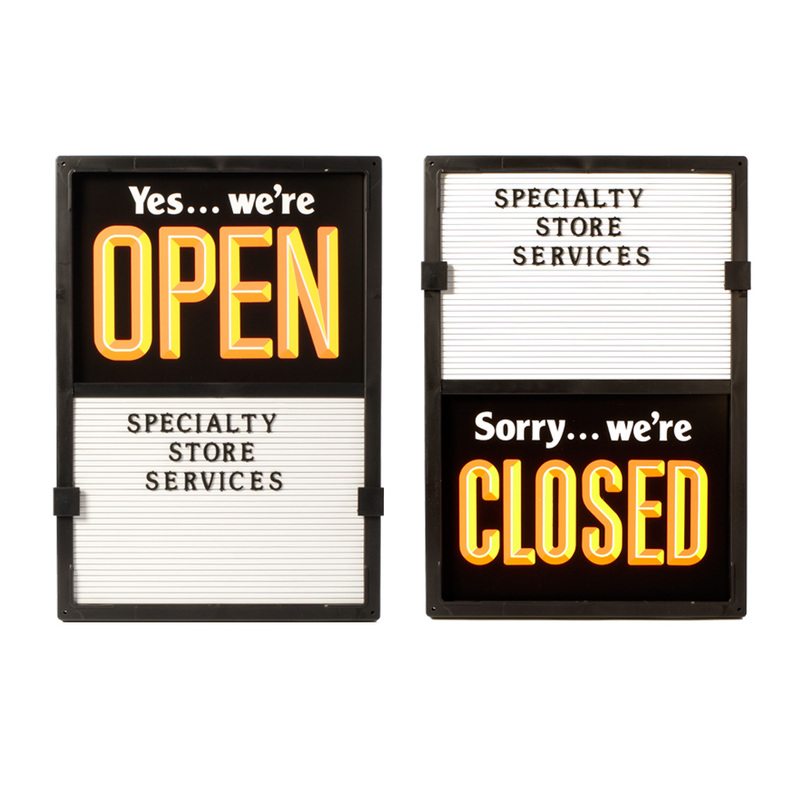 If so, then look no further; Specialty Store Services has just what you need! 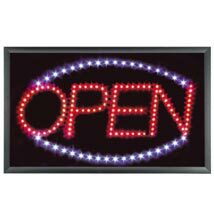 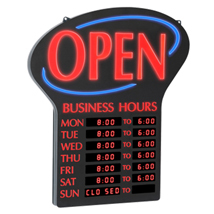 Our large selection of indoor signs for business includes high-quality open and closed signs to ensure your customers have a pleasant and hassle-free shopping experience. 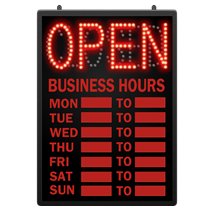 From vertical and horizontal open and closed signs, to LED and Digital signs that provide you with the ability to advertise your store hours, you'll find the one that works for your business.